It is always a joy to support the library industry and celebrate those on the front line delivering outstanding service. 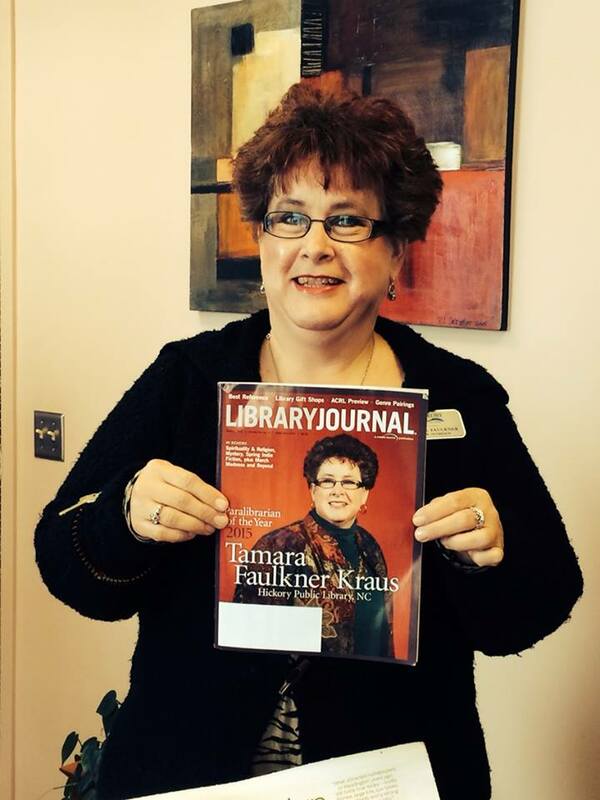 Library Journal’s 2015 Paralibrarian of the Year, Tamara Faulkner, is highly-regarded among her peers and a gem to her community. I was excited to meet her and learn more about her role as a full-time Senior Outreach Coordinator at Hickory Public Library (Hickory, NC). As I spoke with Tamara, it became clear that she was the face of 21st century library engagement. 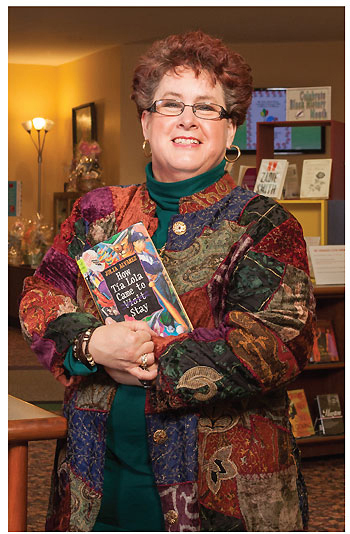 Her outreach takes the library well beyond its physical walls into areas of the community few know or see, and she is undaunted at the prospect of reaching out to yet unknown community partners and citizens. I’ve spent the past year gaining a better understanding of adult programming and services, and learned about the importance of adults staying socially connected and validated. Tamara’s mission for her outreach is just that — meeting people EXACTLY where they are in their life journey, be it in their homes, at various senior living communities or in the library. Tapping into her background as a children’s librarian, Tamara finds ways to connect with individuals who may suffer with various health issues, be confined to wheelchairs or face dementia or Alzheimer’s disease. Here’s more of the fascinating conversation I had with Tamara. How has your work impacted seniors? I’m one of the front line people helping seniors stay mentally active and social. My programs do more than entertain or educate people, they engage people and keep them connected to the community via the library. I visit a woman named Lynette who has MS. She devours everything I bring her. She told me, ‘You opened the whole world for me because I won’t be able to get out in it again.’ This is why I do what I do. How does your role fit into your library’s ecosystem? Because I’m a people person, I want to be out with the people. I also discovered I like to work with seniors as I feel they have a lot to teach us. In my role, I have a lot of freedom to do the kinds of library work that happens on a personal level. I see myself as the face of the library because I am out in the community networking with organizations that work with seniors. Since I represent the library and the City of Hickory, my outreach has gotten the name of the library out there more. Previously, there were a lot of folks who were unfamiliar with the library. Now because I am going to their facilities and speaking at their meetings, they are more aware of the library. How did your library decide that a senior outreach position was necessary? When outreach at our library first started, we focused on pre-schoolers. In 2007, our library director decided it would be a good idea to add adult outreach, especially senior outreach. However, we found that it was difficult for one person to meet the needs of both roles. As a result, I became our dedicated Senior Outreach Coordinator in 2009. I started with 4 facilities and now work with 16, plus I’m adding 3 more this year. I keep finding more senior apartments or senior living facilities that need the library. The people who live in these facilities may have a hard time getting out. They may also have health problems or dementia. I can tell you that they don’t just want to sit around and watch TV all day. So my job is to provide materials to them that will help keep their brains active and to create opportunities for them to be social, which strengthens their ties to the library. It has been a long, fun journey. I worked in children’s services for 15 years and did storytimes for babies through age 5. When the Senior Outreach Coordinator position opened up, I applied and changed over to working with seniors. At first, I felt stymied because I didn’t know what to do with seniors so I started with what I knew from children. I use a lot of music, but I try not to sing because that can be scary! I bring instruments — rhythm sticks, bells, etc. — and get people participating in the stories and programs. How do you come up with senior programming ideas? Each place I go to is slightly different so I try to align my program to the facility and the people there. For example, if there is a facility that is home to more people with health issues, the residents may want programs that involve more sitting and watching. What is one of the ways you dynamically serve seniors? Every Wednesday, the library hosts a BINGO program. We give away small prizes — travel size shampoo, kitchen towels, furniture wipes. Seniors like things that they can use. It’s a good group that comes every week and they have helped get the word out. At the same time, we also bust the myths that the library needs to be quiet and that the library doesn’t like old people. People come for the social component too. They made new friends they hadn’t met before and now go out for lunch or breakfast with each other. They have really bonded. A lot of them have said that the prizes are nice, but they come to be there with their friends. In my opinion, there are not enough places where they can come and gather and be comfortable. The library serves that function. Do you have ideas for your future efforts? In perfect world, I would love to provide outreach to homeless shelters and halfway houses. Seniors are marginalized for sure, but homeless and abused people are pushed off to the fringe too. This would likely require hiring another person. I also want to develop a program to work more with people with dementia and Alzheimer’s. 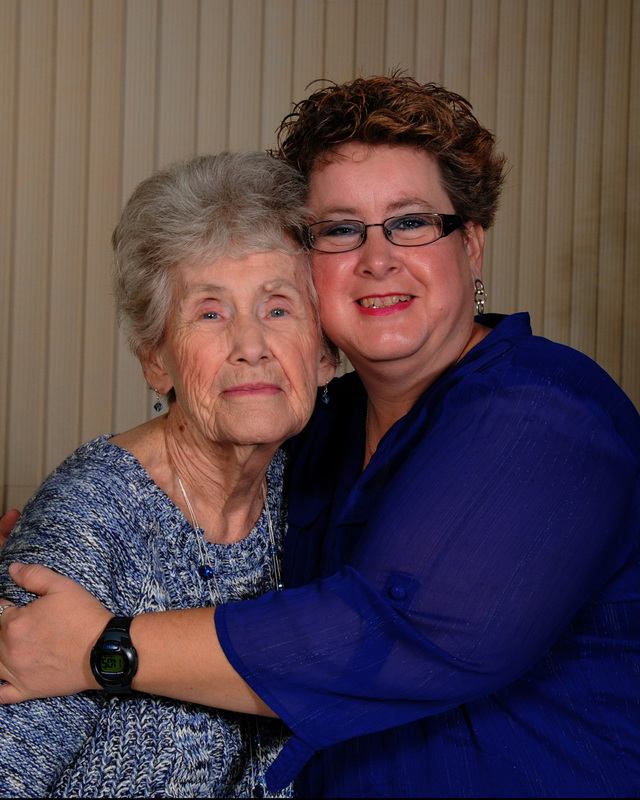 My mother has Alzheimer’s and I feel that this work would help me honor her and help others. I could also see myself getting a Master’s degree in human resources or social work and applying what I learn to my job. It’s clear that you love your job and what you do. How did you get to that point? It just sort of happened. I loved the children’s space and interacting with kids, but 15 years is a long time to work in the same role. I’m also a person of faith and believe God has a plan for me. I’m not always sure what it is, but senior outreach is a perfect fit for me right now. What is your definition of a paralibrarian? I’d gotten used to the paraprofessional term, but we’re moving away from that term. The first time I heard paralibrarian I thought, ‘Does this mean I’m going to be jumping out of airplanes to do outreach?’ Paralibrarians do a lot of behind-the-scenes work, but we also put ourselves out there more. We’re the front line people in the trenches. Winning the Paralibrarian of the Year award was a nice confirmation that this is what I am supposed to be doing. What is your advice to someone who wants to start an outreach program? Like many of us, Tamara admits to occasionally waking up, preferring to stay home instead of going to work. But she goes, and she never regrets it. The energy and passion she puts forth is given back to her with days filled with laughter and joy. I was fortunate to spend part of my day with Tamara, and you can be sure there was laughter to be had. What a remarkable woman! 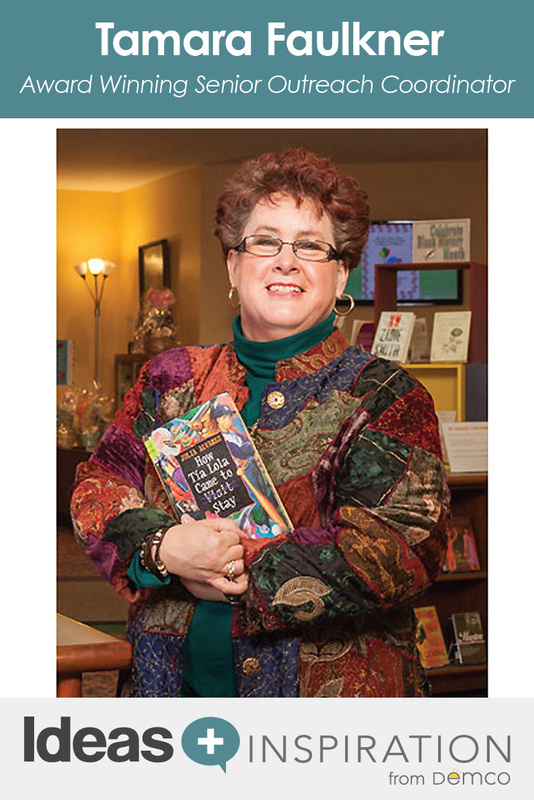 To read more about Tamara, check out her Library Journal interview.